Kiwi started life outdoors under a shed, but you'd never guess! She's a super sweet and outgoing little girl. 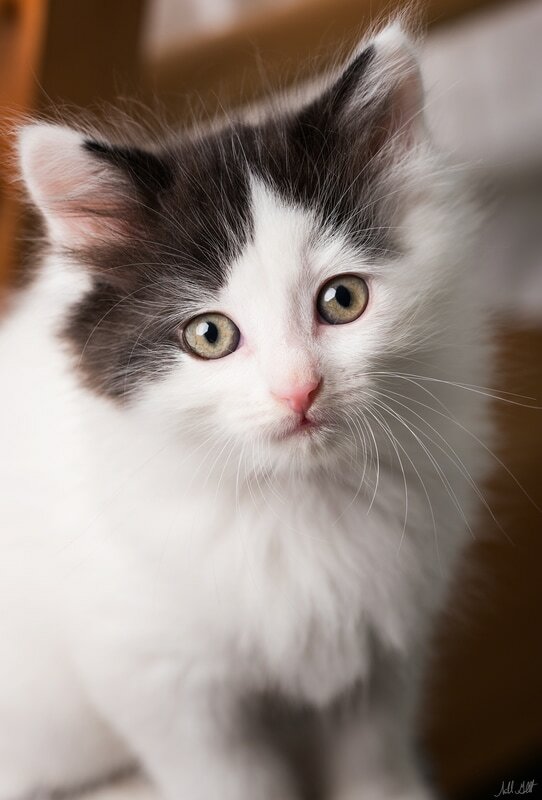 She loves to snuggle, and play, and possesses an absolute delight in all life has to offer. She is going to grow up to be one of those ridiculous lap cats. She plays beautifully with her sisters, and the other cats and kittens she's fostered with. If you are looking for an amazing, one of a kind girl, Kiwi is the one for you!